My name is Gráinne and I’m a recent graduate of Hibernia College. I completed the Higher Diploma in Arts in Primary Education (HDAPE) programme with Hibernia College on March 30th 2015. The H. Dip is a level 8 qualification. As of September 2014 the H. Dip has now been replaced with the Master in Education (PME) which is a level 9 qualification. This blog post will explain the course based on my experiences with the H. Dip. I have noted the slight differences between the H. Dip and the new PME in the post. I applied for the H. Dip by downloading an application form from Hiberniacollege.com and forwarding it to them with the application fee. Now however you submit a ‘course information request’ which can be found at this link and the College will get back to you. I assume you will still have to fill out an application form that they will e-mail onto you with the relevant fee. 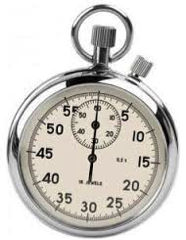 You will hear back within two weeks approximately from the college in regards to your interview time slot. There are two components to the interview -the Irish interview and the English interview. You have a different set of interviewers for each interview. The Irish interview focuses on assessing your ability to converse as Gaeilge – similar to the Leaving certificate oral in my opinion. 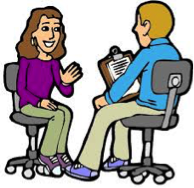 The English interview is a chance for the interviewers to hear your opinion on Education/educational experience to date/why you want to be a teacher and to see if you would be suitable for the course. The interviewers are all lovely and are not there to catch you out. I remember my Irish interview and having a lovely chat with the elderly lady about her friend who purchased a scarf for €300! You need to have a Passport with you for identification. There is a €95 application fee HOWEVER if you apply by June 19th 2015 you get a reduced application fee of €60 (every little bit helps). The H. Dip cost€9,985 PLUS an extra €450 for the Gaeltacht. The PME cost €12,400. There are tax reliefs available on this. Contact your local Citizens Information for help on this. The course is two years (24 month) in length. You will spend a total of 24 of these weeks out on School placement. Four weeks will be spent in total in the Gaeltacht. The H. Dip was a 90 credit course, while the PME is a 120 credit course. For the H. Dip we spent 18 weeks on school placement and three weeks in the Gaeltacht. For the PME you will spend 24 weeks on school placement and four weeks in the Gaeltacht. The course content is comprised of online sessions, online tutorials and onsite classes. Online lessons will be released on HELMS (the portal used by the college) each Monday morning. You will have a different number to complete each week. You will have a tutor assigned to your regional group for each subject and they will post a question based on the sessions on the online forum. You must interact with the online forum. Everyone is different when it comes to how long they spend on the sessions. If you want to go through them well and really learn to content you would spend around 4 hours or so on each session. I however broke the session up into sections and completed them at 30-40minute sessions over the week. Otherwise I would have wanted to throw my laptop at the wall if truth be told. The online tutorials happen weekly (not every week bare in mind). Your regional group will be assigned a time to log in for. The tutorials are interactive in nature and discussion is promoted. Finally you have the onsite classes. Your regional group will be assigned a regional centre (I was in the Limerick group and our centre was a secondary school in Limerick city). The onsite classes begin at 09:30 and will finish by 15:30. It is a great opportunity to meet with your group (and form friendships) and tutor and get the discuss everything related to that subject. 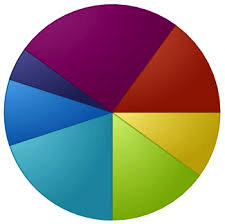 You will have tasks to complete at onsites and you will have a great opportunity for discussion. Personally, I LOVED the onsite classes. I loved getting to talk face-to-face with my peers and I felt I learned so much from the onsites. For example the two onsites we had for Mathematics were wonderful. I learned about so many wonderful activities I could use during my lessons and the way to incorporate concrete materials also. You will have a variety of essays and projects to complete over the 24 months. There are dedicated forums set up for each assignment so you will have plenty of guidance. The PME has an additional module which *I think* involves a thesis. During my time with Hibernia I completed three school placements over a total of 18 weeks. The first placement was in February 2014. I spent one week observing in the classroom followed my four weeks of teaching. The requirement was to teach three lessons per day (I taught for the whole day as the teacher requested this but I only had to create three lesson plans to submit to Hibernia). I taught third and fourth class. The second placement was in September 2014.Again, I spent one week observing the class and then five weeks teaching. Again, I was only required to teach four lessons per day. My final advanced school placement involved ten days of observation – 8 days in a non- mainstream setting and two days in your classroom. I completed the 8 days in Learning Support. The final two days were spent observing in my school placement classroom. I then taught the class for five weeks with whole day teaching i.e. a minimum of five lessons per day. On each school placement you will get a minimum of two visits from your inspector. Grade moderators and external examiners also can visit. I was lucky enough to escape ever having a Grade Moderator or an external examiner. I also only received two visits on each placement. The new PME programme is comprised of 24 weeks of school placement. In the Higher Diploma we spent 3 weeks down in the Gaeltacht. I was lucky enough to spend the 3 weeks in beautiful Dingle. Monday-Saturday we were in ‘school’ everyday at 9am for lessons. I found the lessons really good and helpful but I did take lots of notes which were a great help to me for my exam. We worked in groups of 3 or 4 to prepare a presentation on a topic related to the area we were in. My group created a presentation on Tom Crean’s Brewery. This presentation was a main topic of conversation at our oral exam. In terms of accommodation you are housed with members from your regional group. You will have the choice to list 3 people you would like to share with. Most rooms are twin with a limited number of single rooms available. 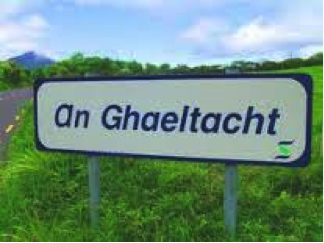 In the new Masters of Education course you will now spend 4 weeks in the Gaeltacht. The four weeks will be broken into two blocks of two. The first two weeks will take place in year one and the second block in year 2. 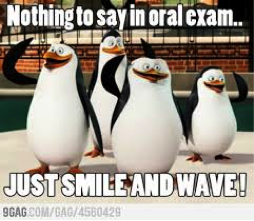 The oral exam last for approximately 20 minutes. The exam will take place in your regional centre. It takes place 4-6 weeks after your trip to the Gaeltacht ends. (It may also depend on which cohort you are in). The project/presentation from the Gaeltacht is the main topic of conversation followed by a general chat. You could be asked about your school placements/hobbies/thoughts on the economy etc. The exam is the final element in the course. It is 3 hours in length. It takes place normally in Croke Park. The entire cohort will sit the exam together. 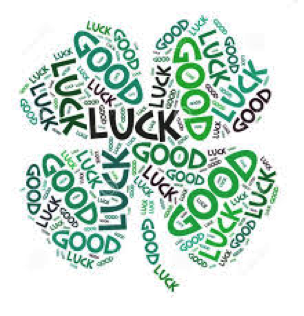 The exam is worth 300 marks (40% of the Gaelilge module in the H. Dip programme). The exam is broken into three sections. Each section if worth 100 marks. I will admit that it can be very isolating at times as it is just you and your laptop for a large majority of the time. The onsite classes are a great way to make friends with those in your group and the Gaeltacht really helps cement those friendships. The course offers you great freedom and flexibility. You can complete the online sessions whenever you have a free moment. You can continue to work while you study. The tutors are all nice and very helpful. Overall I really enjoyed my time with Hibernia College. I would recommend the course to anyone. If you have any further questions about the H. Dip (now PME) feel free to message me at www.facebook.com/MsNiDhuinninsClassroom.